Sound Precision Entertainment’s Monocle photo booth is a revolutionary take on the photo booth experience. Traditional photo booths provide limited space and functionality that makes it difficult for guests to take pictures with multiple people. SPE’s solution to this problem is an interactive photo experience that is accessible to guests of all ages and abilities. 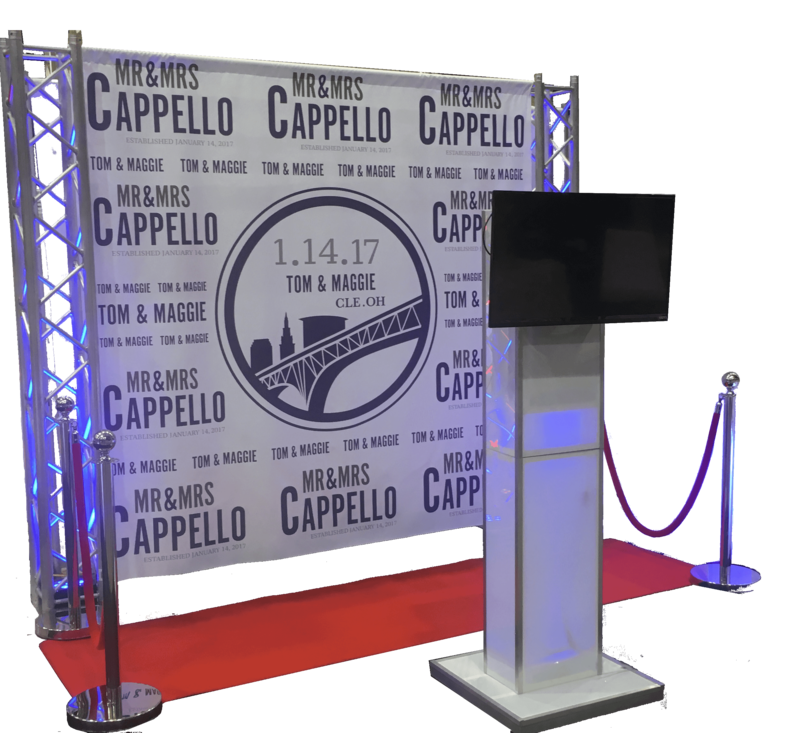 Your guests pose in front of a custom, quality-printed backdrop that can feature your name, date, monogram or custom design (Don’t worry: SPE also provides an array of fun props). A 27-inch high-definition display screen allows guests to view their photos in real time, and they operate the camera themselves on an easy touch-screen computer. A high-quality Digital Single-Lens Reflex (DLSR) camera provide crisp images, and SPE uses dye sublimation printing for the souvenir strips, which provides faster and better quality than inkjet printers. Each strip features three images. The printer produces two copies of the strip: one for the guests and one for a memory book you receive. In addition, you receive a USB drive with full digital rights to the photos. This unique experience will keep your guests busy all night and provide you with memories for years to come.